The Dow Jones Industrial Average today rebounded from the recent two-day sell-off that knocked off roughly 900 points. The Dow added 269 points, fueled by a strong bounce for energy and technology stocks. Markets also received a boost from the U.S. Commerce Department, which upwardly revised first-quarter GDP from 0.8% to 1.1%. The Commerce Department also said that the U.S. economy grew by 1.4% in the fourth quarter of 2016. While the numbers are still pretty lackluster, any uptick in U.S. data is appreciated, particularly at a time when geopolitical risks continue to swell around the globe. Today, a rebound in stocks helped stop the free fall that took place in the wake of Thursday's Brexit vote. Investors took a breath as investors scooped up stocks they deemed to be at a discount. Shares of Apple Inc. (Nasdaq: AAPL) were up 0.7%, while technology giants Facebook Inc. (Nasdaq: FB), Amazon.com Inc. (Nasdaq: AMZN), and Microsoft Corp. (Nasdaq: MSFT) all pushed up by more than 1.7%. European banks were recovering after a brutal two-day stretch that sent shares of the iShares MSCI Europe Financials Sector Index Fund (Nasdaq: EUFN) plummeting. Still, investors can anticipate some struggles ahead. On Tuesday, Goldman Sachs Group Inc. (NYSE: GS) said that it anticipates the European financial sector will see its profits decline by as much as $35 billion through 2018 as concerns about the Brexit weigh on performance. U.S. banks were recovering a bit on Tuesday as well. Shares of Bank of America Corp. (NYSE: BAC) added 2.4%, JPMorgan Chase & Co. (NYSE: JPM) added 1.8%, and Wells Fargo & Co. (NYSE: WFC) added 1.3%. Despite all the news about last week's vote, investors should know about a "Brexit loophole" that could keep the United Kingdom from exiting the European Union. Read all about it, here. Crude oil prices pushed higher as value investors went shopping for stocks and a pending strike in Norway threatened production from western European's largest supplier. Meanwhile, traders are anticipating a very large decline in domestic crude inventories. The American Petroleum Institute will provide an update on U.S. stockpiles. WTI crude prices added 3.1%, while Brent crude gained 2.8%. Today's other big news came from the automotive sector. Volkswagen AG (OTCMKTS ADR: VLKAY) announced a $14.7 billion settlement tied to the firm's emissions cheating scandal. The company had sold 11 million vehicles that used software to cheat emissions tests. It would be the single largest settlement in history for corporate negligence or wrongdoing. Although the stock is up 3.7% on the day, investors should know the stock's problems are far from over. Dow Chemical Co. (NYSE: DOW) announced plans to lay off roughly 2,500 employees as the company completes a deal with glass manufacturer Dow Corning Corp. Together with its pending deal with DuPont Co. (NYSE: DD), the new company will be valued at more than $130 billion. 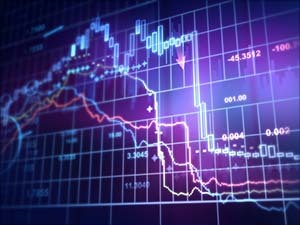 Shares of DD stock were off 3.1% on the day. Shares of Twilio Inc. (NYSE: TWLO) rallied another 14% as the cloud communications company continued its incredible three-day stretch to begin its access to public markets. The company's stock rallied more than 90% on its first day of trading on Friday, despite the geopolitical concerns created by the Brexit. Meanwhile, shares of Carnival Corp. (NYSE: CCL) were off more than 1.1% despite news that the cruise and hospitality company beat earnings expectations. The cruise operator reported an EPS of $0.49 on top of $3.71 billion in revenue. These figures topped Wall Street expectations of $0.39 and $3.66 billion, respectively. On the earnings front, shares of Nike Inc. (NYSE: NKE) gained more than 2.2% as the athletic apparel company prepares to report fiscal fourth-quarter earnings. The company is expected to report per-share earnings of $0.48 on top of $8.26 billion in revenue.